Please take a backup before upgrading to the latest build. How can i take a backup? 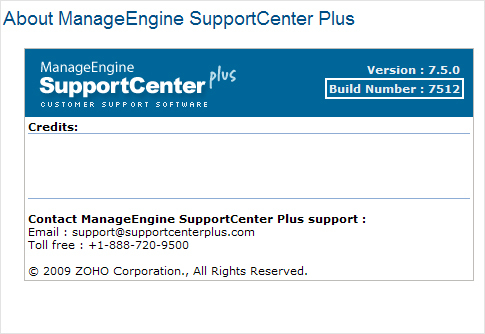 The latest SupportCenter Plus version is 8.1 (build number 8113). Instructions to apply the HotFix. In case of upgrade failure. Important: Clear browser cache before accessing the web client. Customers using build 7007 to 7015. Note: We strongly recommend you to take backups before migrating. This helps you prevent accidental loss of data. Shut down SupportCenter Plus Server. Run the script UpdateManager.bat (UpdateManager.sh for Linux) in the <SupportCenter_Plus_Home>/bin folder. This opens the Update Manager tool. Click "Browse" to select the HotFix file (ManageEngine_SupportCenter_Plus_<Version No>_0_0_SP-x_0.ppm file that you had downloaded) and then click "Install...". Follow the on-screen instructions to apply the Service Pack. Once the upgrade is complete, start SupportCenter Plus Server. Clear the browser cache before accessing the web client. How can I find the Build Number of SupportCenter Plus? In the SupportCenter Plus web client, click the "Help >> About Product" link on top right of the page. You should see the Build number mentioned on the top right of the page. Please ensure that a full backup has been taken before uprgrade. DON'T EVER UPGRADE WITHOUT A BACKUP. Please double check the server is stopped. Since there are possibilities that the operating system would automatically start the service. Ensure that you are applying the appropriate patch as per the table above. When you see an error during upgrade. Please follow the steps in the section "On upgrade failure" for an un-interrupted service. DON'T EVER TRY TO ROLL BACK BY CLICKING ON 'UNINSTALL' BUTTON THE UPDATE MANAGER WIZARD. When you come across an error during upgrade, DON'T EVER START THE APPLICATION. Please follow the steps in the section 'On upgrade failure'. If an upgrade fails, you will not be able to start the application. Don't panic! This is done to save you from unexpected problems due to corrupted data. Reach our support staffs at +1 408-352-9115. They shall assist you further to fix it. Also, we would need the files updatemanager0,1,2 available under/server/default/log, please compress it and send it to to investigate why the upgrade has failed. Copy the backup folder -- The backup taken prior to the upgrade will be available under the folder/backup. Please copy this folder to a different location on your PC to save the data. Rename the existing installation folder and uninstall the application through Start >> Programs >> Manageengine SupportCenter Plus >> Uninstall. Go to the backup folder and find the recent backup taken, the file name will have the date on which it is taken and the build number. After installing, start the server once. Stop the server and restore the data backup onto the new server(How to restore the data? ).